An amazing thing, that the young bull moose somehow managed to shoulder the long trunk. 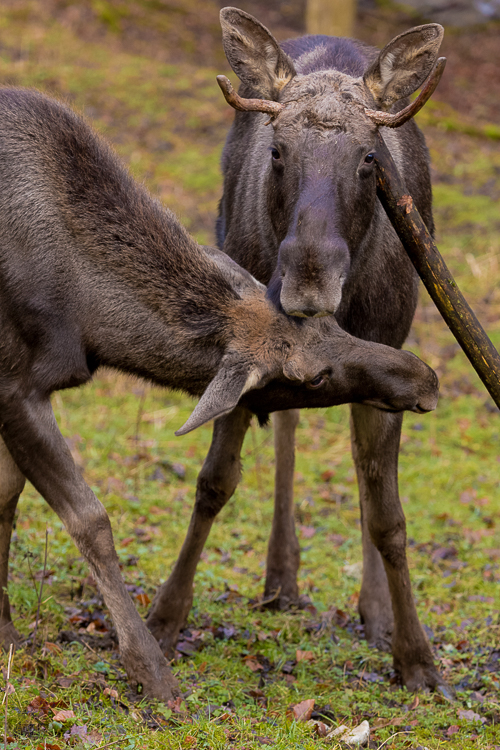 The other yearling bending his head below the bull moose just as if he wanted to check the branch asking "What is it you carry there?" really made me smile.